Exceptionally talented Christiane Beauregard has a knack for bringing to life a vast array of subject matter. Highly skilled in vector illustration, she uses this medium as her primary mode of expression. She finds inspiration all around her and is never short on ideas. 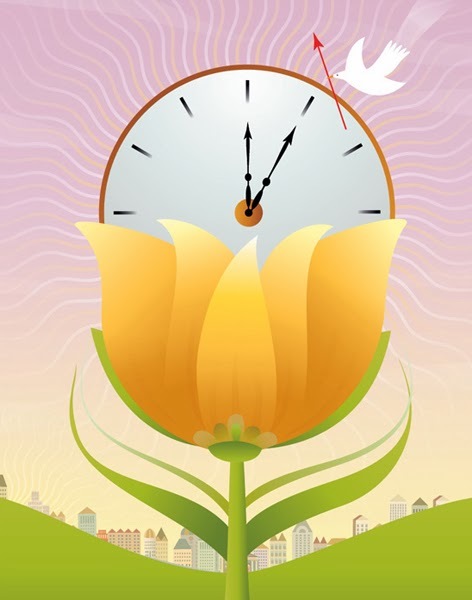 Take a look at her creative concept colorfully rendered, reminding us that we "spring forward" this coming Sunday, March 9th, for Daylight Savings Time. Check out more of Christiane's exceptional illustrations.